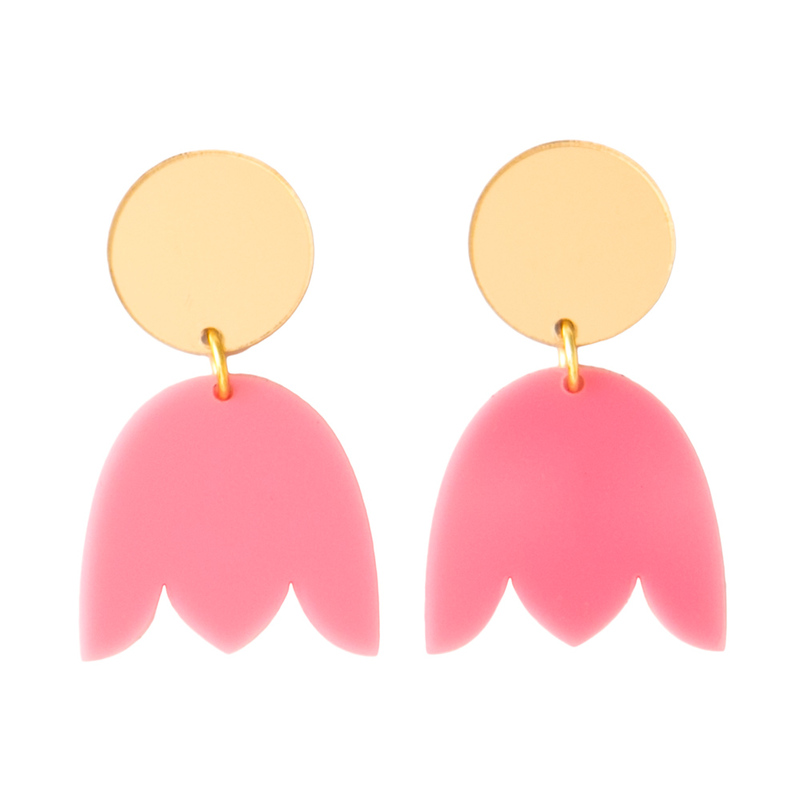 Pretend you’re dancing in a field of tulips when you wear these dainty flower inspired earrings. A mirrored gold disc features a pink tulip shape hanging below. Perfect for when you want to add a touch of spring to your outfit!